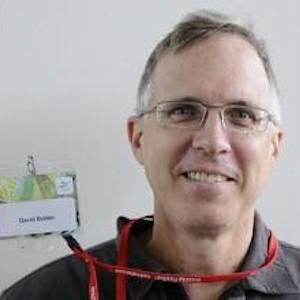 David Bollier is a Senior Fellow at the Norman Lear Center and Co-founder of Public Knowledge, an advocacy group dedicated to defending the commons of the Internet, science and culture. Since 1984, he has been a collaborator with television writer/producer Norman Lear on a wide variety of projects. Bollier also works as an independent strategist and journalist specializing in issues of progressive public policy, digital media and democratic culture. Bollier’s recent work has focused on developing a new vocabulary for reclaiming “the commons.” The commons refers to the diverse array of publicly owned assets, gift-economies and natural systems that are available to everyone as a civic or human right. His previous book, Viral Spiral: How the Commoners Built a Digital Republic of Their Own, is a stunning account of the rise of the digital commons and why it matters to our economy and democracy. Reporting from the heart of the “free culture” movement that has brought us open source software, remix music, amateur videos, and new models of “open business,” Bollier provides the first history of the struggle to invent a new digital republic that honors freedom, participation, social equity and innovation. Bollier consults with a number of nonprofit organizations and foundations, and has served as a rapporteur for the Aspen Institute’s Communications and Society Program for many years. He is the author of six books which explore such subjects as social innovation in American business, the civilizing effects of health and safety regulation, and the legal aftermath of the Hartford circus fire of 1944. Educated at Amherst College (B.A.) and Yale Law School (M.S.L. ), Bollier lives in Amherst, Massachusetts.